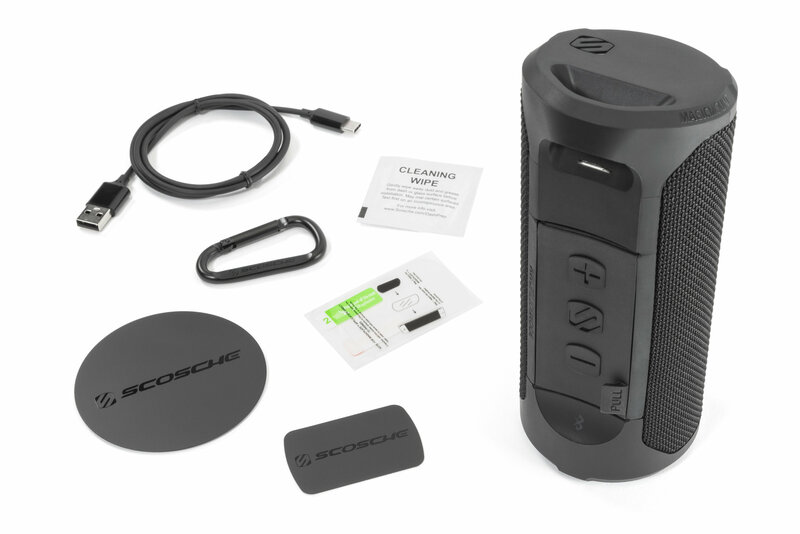 Take your music anywhere you want with the BoomBottle Bluetooth Wireless Speaker from Scosche. 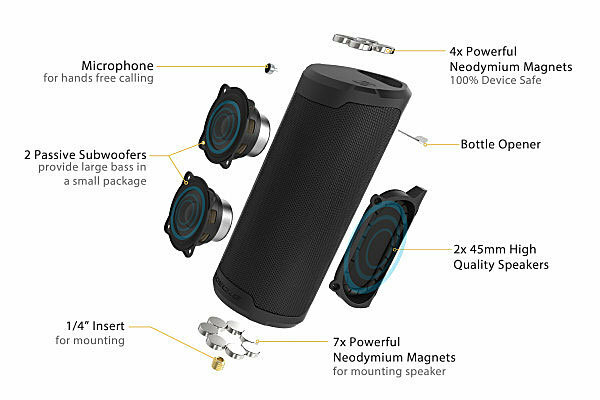 This slim and compact portable speaker can seamlessly connect to any Bluetooth capable device to play your favorite music or podcast wherever you are! The bottom of the BoomBottle can attach to any flat surface that is magnetic, so It can mount easily in many different locations. The top of the unit also is equipped with a rectangular MagicPlate, so you can conveniently attach your smartphone that has a MagicPlate installed. 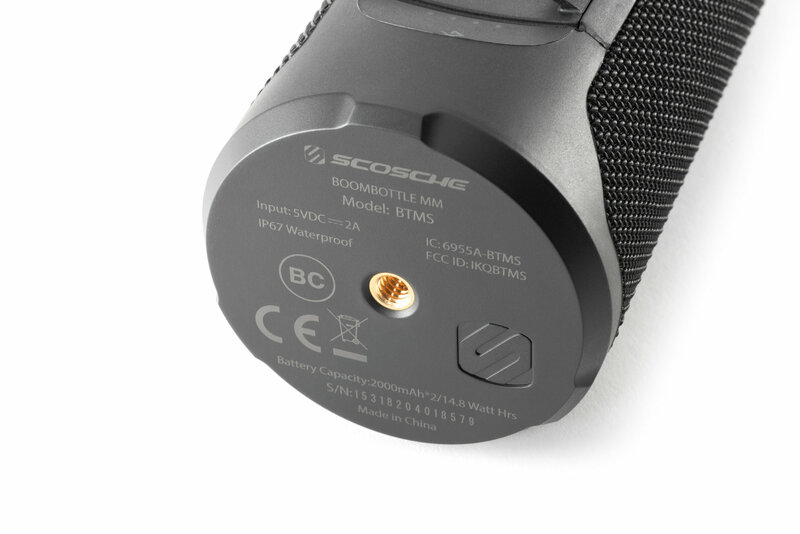 The BoomBottle comes with a 4,000 mAh lithium-ion battery that can go for up to 12 hrs of continuous use. There are 4 separate indicator lights that let you know where the battery level is at. The large, rubberized buttons allow you to control playback, change tracks and answer hands-free calls. The 12w dual (6wx2) 45mm speakers and built in subwoofer produce crystal clear sound. The unit has an IP67 waterproof rating and will be protected from any rain, waves or splashes while you are using it outdoors. 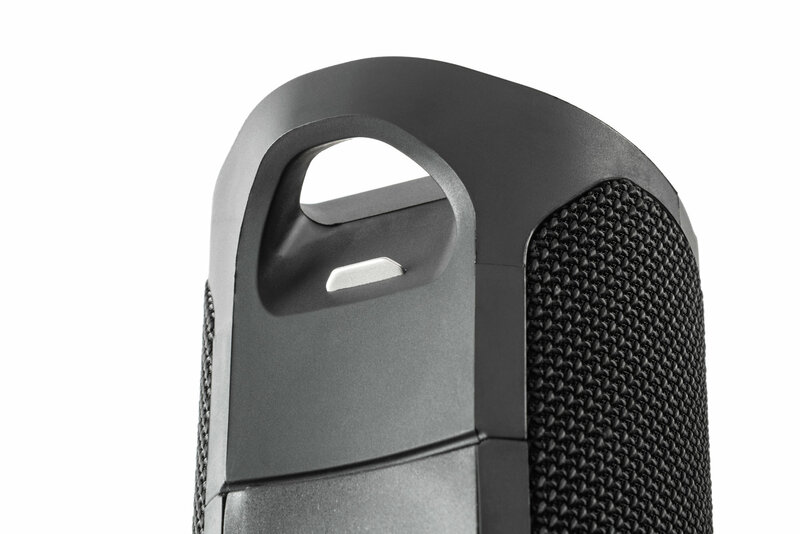 If that all wasn't enough, the BoomBottle has a built-in bottle opener on the rear of the speaker so you can enjoy your favorite beverage! 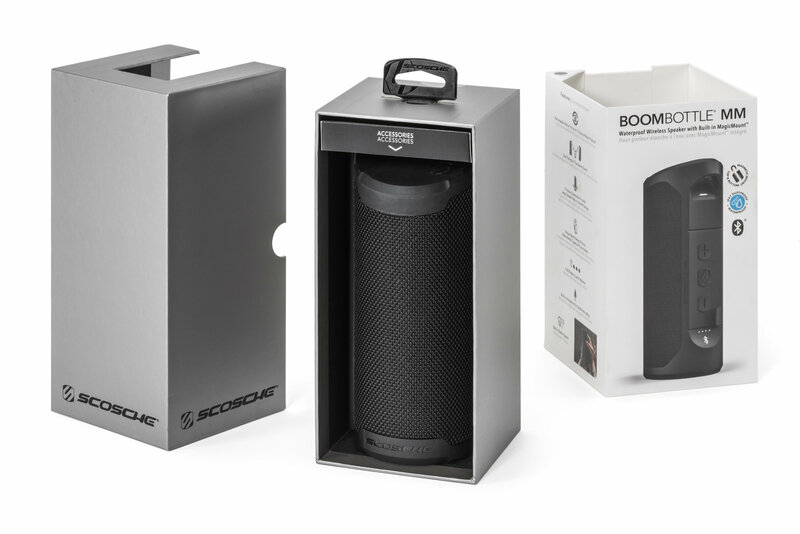 Powerful Sound: The BoomBottle features dual 45mm speakers with a built in sub to produce great sound from a small and compact package. The audio sensing EQ will help to give a wonderful sound experience in or outdoors. 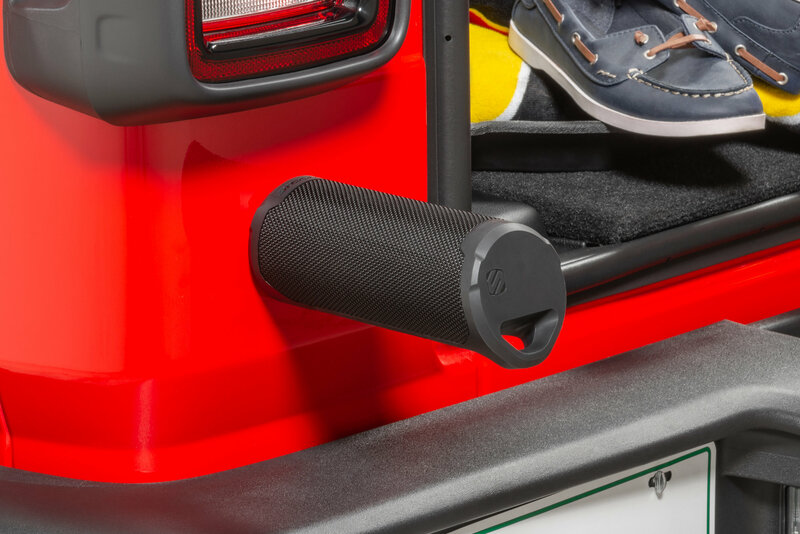 Magnetic Top and Bottom: Attach the BoomBottle to any flat magnetic surface easily. 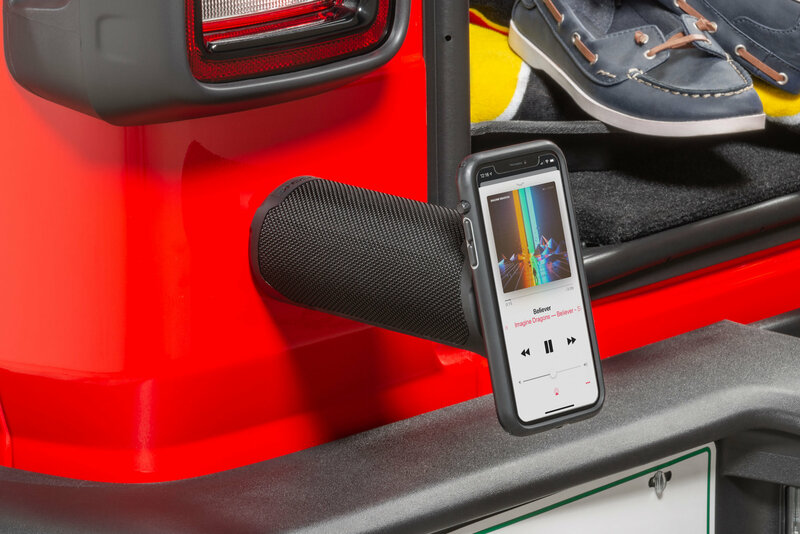 Your toolbox, car door, bleachers, enjoy some music wherever you go! Attach your smartphone to the top of the unit with a MagicPlate and you are all set! 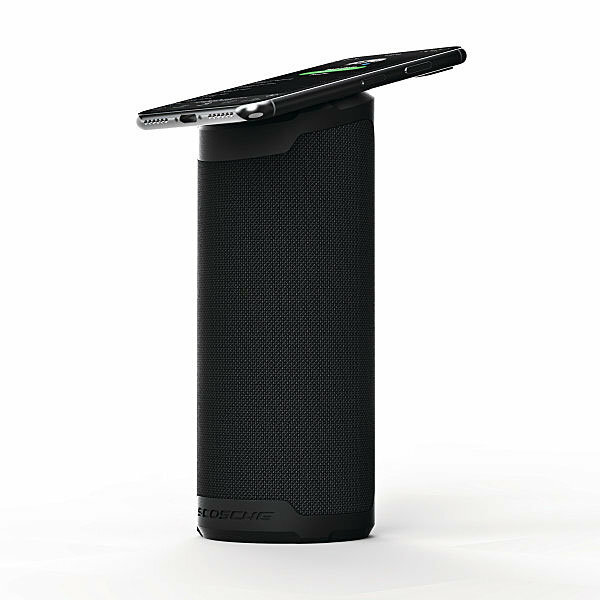 Long Battery Life: The integrated 4,000 mAh li-ion battery is designed to give up to 12 hours of use. 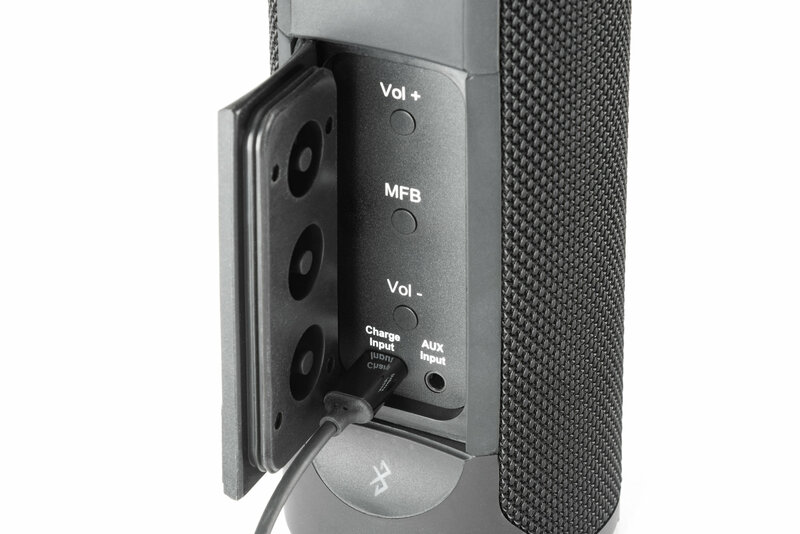 Easily recharge the BoomBottle with the included type C USB cable.